Are Christians and “Messianic Gentiles” Idolaters According to Judaism? Everything worthwhile to know about the Bnei Noach movement. The Online Encyclopedia about the Noahide movement created by observant Noahides and Jews. Within Judaism it is a matter of debate whether all Christians should be considered Noahides. While Christianity appears to conform to six of the seven Noahide laws, an informal comparison of the Nicene Creed and Noahide Law reveals that three major theological teachings may involve a violation of the Noahide prohibition against idolatry. However, these theological issues do not fit the classical Jewish definition of idolatry. This has caused disagreement among rabbinic authorities on the question of the permissibility of Christianity for non-Jews. (All authorities forbid Christianity for Jews). Another consideration would be that even if Christians are considered at least partially observant Noahides, are they Chasidei Umos HaOlam or Chochmei Umos HaOlam? 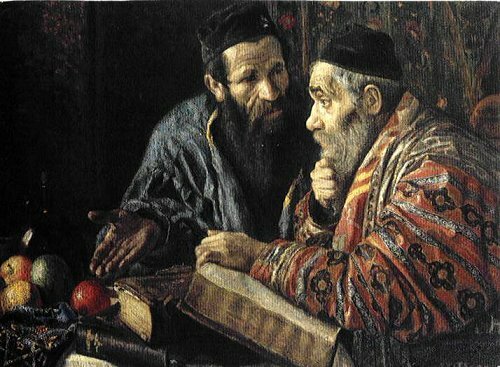 The former are considered to have a share in the world to come because they recognize Noahide Law as being revealed through mosaic (rabbinic) tradition, the latter are not considered to have a share in the world to come because they follow Noahide Law based on intellectual expediency. In summary, classical idolatry has been clearly defined by Jewish Law. Christianity, however, has been defined as something less. The problem is defining how much less, and for what purposes. I realize I’m treading on somewhat thin ice, so to speak, because this is a single source, and Jewish opinion on any topic rarely is defined by a single source. Nevertheless, this also stands in sharp relief to some Jewish opinions I’ve recently read in the religious blogosphere stating that Christianity is unequivocally idolatrous. Granted, there are multiple Rabbinic legal opinions on this topic. Maimonides most definitely considered Christianity “avodah zarah” (loosely translated as “idolatry”), while Rabbenu Tam and his fellow Tosafists did not condemn Christianity as idolatry (all this can be found at the wiki page for the article from which I’m quoting so just click the link above). There are also many other Rabbinic views on Christianity. R. Elazar ben Azaryah said, “If there is no Torah there is no culture [derekh eretz]” – The word “Torah” here cannot be meant literally, since there are many ignorant people who have not learned it, and many pious among the gentiles who do not keep the Torah and yet are ethical and people of culture. Rather, the correct interpretation seems to me to be that every people has its own religion [dat Eloki] which comprises three foundational principles, [a] belief in a revealed Torah, [b] belief in [Divine] reward and punishment, and [c] belief in an afterlife (they disagree merely on the interpretation of these principles). These three principles are what are called here “Torah”. Rabbi Zevi Yehudah Kook was a rabbi, leader of the Religious Zionist, Mizrachi movement in Israel, on the other hand resurrects many of the classic anti-Christian polemics with a vigor not seen for centuries. Among them: Christianity should be dismissed as an internal Jewish heresy; G-d the creator clearly cannot be a man; the Jewish G-d is alive whereas the Christian’s is dead. Christianity is the refuse of Israel, in line with the purported ancient Talmudic portrayals of Jesus as boiling in excrement. I say all this not to make a personal statement of whether or not Christianity is idolatry. I don’t believe it is. What I’m attempting to do is illustrate that the viewpoint on Christianity, whether or not it is idolatry, and if Christians, from a halachic perspective, can be considered Noahides, is highly complex, and there isn’t a uniform Jewish opinion on the matter that “settles” it once and for all. Of course, it would stand to reason that Messianic Jews do not view themselves nor the non-Jews in their midst as idolators, since although covenant status and religious praxis differs between Jews and Gentiles within the “Messianic” context, they both possess the same faith in Hashem, God of Israel, and loyalty and fealty to King Messiah. A recent ruling by the Jerusalem Court for Bnei Noah has ruled that it will not allow people from a Christian background to take the The Noahide Pledge if they believe that Jesus was Messiah. However they state that this is based on procedural and not halachic considerations. They state that another court may accept the Noahide pledge from such a person and it may be completely valid. So while traditional Christians as well as “Messianic Gentiles,” would not be allowed to take The Noahide Pledge according to the Jerusalem Court, this is not a universal ruling, nor does it represent halachah, but rather legal procedure. I’m obviously sidestepping Hashem’s point of view on the matter, but I’m not writing this to share what I believe God thinks about us. I just want to illustrate that Jewish opinion on Christians, Messianic Gentiles, and Noahides isn’t a “slam dunk” as some folks might have you believe. In Messianic Days, the devoted disciples of Rav Yeshua will be supported and affirmed and all the difficulties we have in comprehending who we are relative to each other and to God will be swept away. I suspect we will all have our eyes opened one way or another. 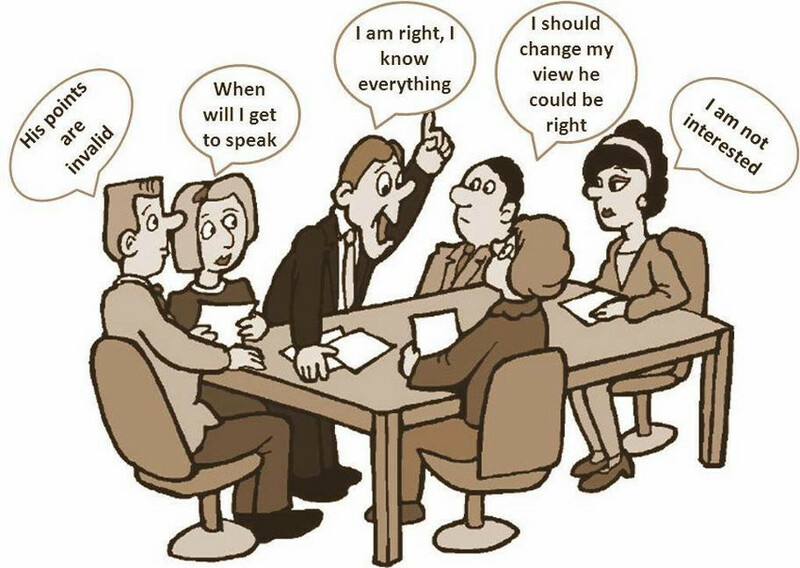 In the meantime, we do what we can to understand ourselves and the people around us, hopefully treating each other as people all made in Hashem’s image, regardless of how we may otherwise disagree. Some of my blog posts in this series comparing Noahides and Gentiles devoted with our Rav within the context of Messianic Judaism have stimulated interesting discussion, both on this blogspot and on Facebook. I hope today’s “morning meditation” will help continue the conversation. Since most Rabbis don’t see to do this in public, I wonder if she had other halachic options than to be disruptive. Though by definition MOST Christians are not idolaters, they do something of equal disgust to Yah if indeed Jesus (and a person the Holy Spirit) are being claimed to be part of Him. “I am Yah your God, you shall have no other gods besides me”. “I/me” are singular words, meaning there is only “I/me” and no other. Thus, if the said parties above are not part of that “I/me” as it is claimed, you then have a false god, for God is an “I/me”. So, the unity of God is destroyed and none existent, rejecting what Jesus said “this is eternal life, to know you the only (alone) true (the real nature corresponding to the name, in every respect corresponding to the idea signified by the name, real, true genuine) God”. Take it or leave it. If Jesus is not Yah, this is fact. Christians are only idolaters if Jesus is not who they believe he is – “god in the flesh, second person of Trinity”. Many Christians realize the implications of being in error about this issue. Of course, they don’t believe themselves to be in error, but hypothetically many would acknowledge it to be a grave problem. I think most Christians would agree than if Jesus is NOT god but only a man, worshiping a man would constitute idolatry even from a mainstream Christian point of view. (The identity “messiah” issue ,from Jewish point of view, is far, far behind in importance to the idolatry problem). If Jesus was not God, then there never has been a delusion so complete as that which they [the Christians] were the instruments of promulgating among mankind, with a success not only unparalleled, but even inconceivable. And if they had been thus mistaken, and Jesus was not God, then what is the condition of Christians now? Let us remember that there is no interval – there is nothing between a just worship of Jesus, as Divine, and the most deep-rooted, the most obstinate, the most obnoxious idolatry that this earth has ever witnessed. It is vain to declare that we are innocent; God’s Word declares that the idolater shall be accursed. And if Jesus is not God, we are idolaters…. @Eric: I looked up a news story about the event, as well as the website of her congregation (she desperately needs a much better web designer), and given all that, I can see her point of view. She feels she was somewhat blindsided by the Christian invocation since she had earlier been assured that none would be given. I can’t fault the Rabbi for following her convictions. I didn’t say that no branch of Judaism considered Christianity as idolatry, just that there are multiple, authoritative Jewish opinions on the matter. Rabbi Plotkin represents one particular view, and probably so do many religious Jews. @Will and Tonya: The Christian doctrine of the Trinity has always been difficult for me to understand, but from a traditional Protestant point of view, it is not three Gods but one with three aspects or expressions or however you want to say it. It is a central doctrine of the Church, and to speak against it will likely result in an accusation of heresy. That said, I’m prepared to draw a line in terms of just how far I can understand the nature of what in Kabbalah is called the Ein Sof, or creative, infinite, unending God, the God we cannot possibly know because the human mind can’t wrap itself around infinity. Because we’re human, we all tend to “reduce” God down to terms we can comprehend if, for no other reason, so that we can think about God and have conversations about (and to) God. However, I think we all must admit that the vast, vast, vast majority of who and what God is cannot be understood by anything in His Creation. He’s just too different. I think that’s where faith and trust bridges the gap. We don’t have to understand fully (or partly) His infinite nature. Just the parts He allows us and enables us to know. @Gene: I was wondering if A) You would become aware of this blog post, and B) if you would comment. There’s probably no way to know, although scholars like Nanos and Zetterholm and many of their peers are attempting to recast devotion to Yeshua back into its original Jewish context. I know you and I have had this discussion before and we both know how it will turn out. Unlike Peter, I will not tolerate an endless amount of online abuse (right now, you are being polite and I appreciate it), so I just want to remind you and any of your friends and associates who may also want to comment here, that my requirements are different than Peter’s. If necessary, I will not approve comments I find inappropriate or inflammatory and, as I have in the past, I will also shut down the ability to make comments in specific blog posts. I hate to come off like some kind of rude host, and I know I’ve opened up this can of worms myself, but I just want to make sure we are on the same page about how I manage controversy. As I just said, I started this conversation myself, but having found this information and seen how variable Jewish opinion is on the topic of Christianity, idolatry, and Noahidism, I felt it was important to share. I’ll be glad to discuss it, but let’s all be well-mannered about it. @James — You might want to consider that one cause of such varied rabbinic views about Christianity is that these rabbis wrote their opinions at different times throughout a long span of centuries, and in different locations. Christianity has not been completely uniform across that span of time and space, and its local emphases also varied, especially after the Reformation in the 16th century. Hence the version or versions of Christianity seen by these rabbis were quite likely not equally behaving in accord with idolatrous patterns, age-old doctrines notwithstanding. The Roman church criticized by Rambam as idolatrous fostered behavior quite different from that which the Lithuanian R.Rivkes observed some six centuries later. Thus some rabbis qualify Christian theology as “shituf” (i,e., a “cooperative monotheism”) rather than as idolatry. I don’t see which source you were citing about Rav Kook invoking that old Talmudic unpleasantness, but that one strikes me as being perhaps a bit out of context and not really characteristic of the wide breadth of his teaching. I agree with you, James, that it’s important to share what you’ve found in this area. (I also appreciate your take on the “news story” that came up.) I think what Gene added is interesting too (which is not me saying you shouldn’t repeat the cautions on posting rules as you did). Here’s something I’d like to bring up: Israel is referred to as gods (not in an ongoing oft-repeated way), I think that’s in one of the Psalms. And if Yeshua is the Messiah, of Israel, then he is special among that category of humans in this world (to be fulfilled in the future). Thanks, PL. It would be good to get that sorted out. Also, yeah, that makes sense… Christianity isn’t uniform. One cannot help but wonder exactly what Yeshua intended his Apostles to teach about him…certainly he never stated that he was the Ein Sof, but he was plain about the fact that he was a particularly sent messenger by G-d; born to one purpose: that he should fulfill all of Torah, and be the completely righteous man that could save generations of the unrighteous if people would merely accept the gift that he was from G-d: to be the representative Lamb of G-d, agreeing from before the worlds were made to be slain as the real Pascal Lamb modeled from the protective sacrifice given to save the Jews from the Angel of Death in Egypt, and remembered, pointedly, in all the spring feasts. That is Yeshua ben Yosef, the suffering Messiah. Peter was recognized as the first to say it openly, and went so far as to call Yeshua the son of G-d…Thomas went further and called Yeshua ‘my Lord and my G-d’ because of the proofs of his wounds being present in his resurrected body. Yeshua was not particularly pleased with Thomas’s conclusion, since our doubting Thomas only believed and stated this because he saw the resurrected body of Yeshua. Yet Yeshua did not dispute being called Lord and G-d, and no-one in the original generation of the Way saw anything wrong with that idea. They seemed to have the concept that Mashiach would be something very different from an ordinary man. If one recalls that Yeshua was the fulfillment of a promise of G-d; that Yeshua was the sign that G-d would give Israel…that a manchild could be born of a virgin could certainly not happen without Divine intervention, and what seems to be a very special nephesh implanted in that manchild that had been existing from ‘days of old’…before the worlds were created…gives one an impression of non-humanness, at least in the ordinary sense. And his death was caused on the basis that Yeshua did not dispute the High Priest’s demand for Yeshua to be clear on the matter as to whether he was the Mashiach, and the ‘Son of the Living G-d’. I think that that alone would not have gotten him killed…it was the statement that he would be seated in the right hand of the Father in his Throne in the heavens. But Yeshua did not come out plainly on the matter, and merely referenced what was in prophecy about the Mashiach, and indirectly referenced himself with the title the Son of Man. It was sufficient excuse to drive an order for his execution, but it is not a statement of godhood. Yeshua prayed to, and was in obedience to YHVH…not to himself as YHVH, and told men to pray to the Father, and only to ask in prayer for intervention by Yeshua…praying, presumably as we do these days, in the name of the one who gave us his righteousness. and thus gives us access to the grace and favor of YHVH. Yeshua is unique among men, and to be reverenced, lauding the perfect work that G-d did in him, but in valuing Yeshua, we only applaud the great work of YHVH. We do not thank Yeshua for creating us, even though John states that we were created through Yeshua as the Word of G-d, even as we are saved through Yeshua as being the means of our salvation, because Yeshua had to be separated from G-d to become human and fulfill the role of Yeshua ben Yosef. Yeshua is as much a part of the Creator as the Ruach haKodesh is, and the Ruach proceeds from the mouth of G-d, even as Yeshua springs from G-d’s power, but do any of us worship the right hand of G-d, or the breath of G-d without worshipping the whole of G-d? After John’s death, there was no one to explain these things to the Pagan mind, or attempt to call Believers to a right understanding of G-d’s infinite nature, but even before then, the Greek Believers were finding it hard going to be both Pagan and Jewish at the same time. And once Constantine appointed a man who was not a Believer to force the Roman and Greek Prelates to a ‘right idea’ of the Divinity of G-d, Yeshua, and the Holy Ghost as a Trinity of equal and even separate persons within the godhead, the Christian Church became idolatrous. The question is whether the Reformation changed that Idolatry within the Christian Church. For those Believers that actually read the Scriptures, I think they can tell easily that Yeshua is created and adopted Son, and a real part of the Father, even as the Ruach is continually proceeding from G-d, but are not separate from the Father. For those that adhere to the Westminster confession and other creeds like it…those Christians are idolatrous, and the Adversary has obviously done his work very well. 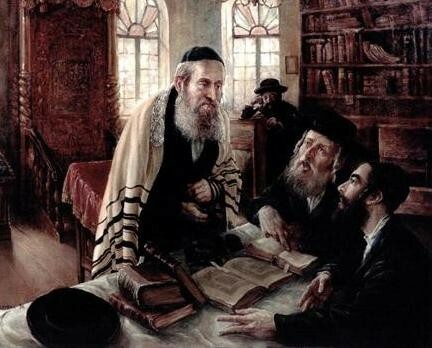 @PL: Actually, that did occur to me and in fact, I realize that at least some of what drives Rabbinic legal opinion is the point in history and part of the world in which they lived. I also know that Christianity hasn’t been static for the past 2,000 years, so how Jews and Christians perceived each other and interacted has morphed over time. Thus I have some reason to believe that in the modern world, there remains some variability regarding how Christians are perceived in different branches of Judaism. Unless otherwise stated, the source for all my quotes, including that of Rabbi Kook are from the WikiNoah.org page Christianity and Noahide Law. @Marleen: First off, thanks. Secondly, I agree that Israel has a unique relationship relative to belonging to God as does His chosen people, the Jewish people. @Questor: The status of Rav Yeshua as “Son of Man” and “Son of God” is unique and difficult to understand. I think Daniel Boyarin did a pretty good job of describing what he believes Jewish thought about the Messiah was in the late Second Temple period in his book The Jewish Gospels: The Story of the Jewish Christ (I wrote a few reviews of portions of his book including this one). The mystery of the Divine Messiah is beyond most if not all of us to fully comprehend, and I prefer to consider an examination of the topic as a journey rather than a destination. Shavua Tov, James — I think it might be fair to suggest that a modern Noahide source may have a vested interest in delegitimizing Christian doctrines (and Rav Yeshua together with them), thereby being selective in quoting from Rav Kook rather than representative of his wide-ranging views. In fact, if my memory serves (since I haven’t had a chance to confirm this from actual research), he was also one of those to suggest the “shituf” description of Christian theology. So even a single rabbi may hold multiple opinions relating to a given subject. Similarly, there exist multiple meanings for the Hebrew and Aramaic phrases “son of man” and “son of G-d”, and their context of use is critical to interpreting which of these several meanings to apply to either phrase. For example, a “son of G-d” may be merely a godly person or a G-d-fearing person, while a “son of man” may be merely a human being. On the other hand, the “Son of Man” phrase sometimes invoked a messianic or apocalyptic character based on the Dan.7 passage and Apocryphal references to it, and similar special inferences applied to the notion of a “son of G-d”, or a “son of the gods” as in the furnace of Dan.3:25. However, answering the question about whether someone’s beliefs or practices define them as an idolater requires that we consider what defines idolatry and whether the definition includes greater or lesser stringency for different categories of people. Understandably, the greatest stringency of definition may be expected to apply to Jews (and this should include Jewish messianists). Hence, even if a “shituf” theology is deemed conditionally acceptable for gentile Christians not to be considered idolaters, it is not so for any sort of Jewish messianists. Consequently, it may be hoped, if Jewish messianists can define Rav Yeshua’s nature and their corresponding behavior in a properly non-idolatrous manner that is yet consistent with the apostolic descriptions of him, then gentile Christians also may be induced to reformulate their theology and behavior to distance themselves even from “shituf”. This might begin with a decision to reserve “worship” solely for HaShem in the role of a heavenly “Father”, and to “respect” or “honor” Rav Yeshua as His Divinely-appointed human representative agent, thereby designating him as a uniquely-commissioned “son of G-d” (which certainly would correspond with the metaphor of being the “only begotten” one as well as the with the special circumstances of his physical conception). This certainly would be consistent with Rav Shaul’s description of him in Phil.2:5-11, and Yohanan’s visionary description of related scenarios in such passages as Rev.5:13 and 6:16 that distinguish between G-d on the throne and the symbolic “Lamb” close at hand. A bit more explanation is required for the opening wordplay of Yohanan’s besorah, which I have offered previously and which is a bit lengthier than should be included in this reply. Of course, more explanation is required also to revisit a number of passages to show alternative readings of the text on which “shituf” doctrines were based. I certainly don’t mean to misrepresent Rabbi Kook and frankly, the only thing I know about him is from the Noahide wiki (If I took the time to fully research every topic I write about, including the life histories of every named individual, I’d probably write a blog post once every so many months). I agree, this subject (like so many others) is complex, and in many ways, a short blog post hardly does it justice. Simply understanding the nature and character of Rav Yeshua and our intended relationship to him is far more involved than the average believe might imagine. However it is the definition of Rav Yeshua’s nature coupled with our relationship to him as intended by Hashem that makes all the difference in the world between giving proper honor and (perhaps) flirting with idolatry. That aside, I would like to see the rainbow symbol wrested away from the LGBT community. Kudos of you can do it. Just don’t plant any rainbow flags our front after your ribbon-cutting. Might attract the wrong crowd. And by skeptical, not of Yeshua, but of Noahidism. Just wanted to clarify. Drake, unless otherwise specified, I always use rainbows to indicate God’s covenant with Noah (all living things, actually) as recorded in Genesis 9. I can understand your concern with a comparison with the non-Yeshua-believing Noahides and Yeshua-believing Messianic Gentiles/Talmidei Yeshua. I only make the comparison because relative to an association with Jewish community, both groups have a lot in common. I’m going to buy you a big, Noahide rainbow shirt so you can walk down 10th and Peachtree in Atlanta. Have a good “seventh day,” man. Thanks. What’s the significance of 10th and Peachtree in Atlanta?